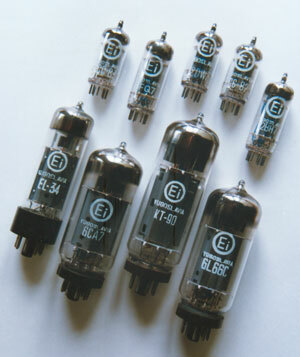 Here is a list of our most commonly produced tubes. Please click on the links below to find out more. Need a tube not listed above? Maybe we can produce it for you. Or we can check our NOS (New Old Stock). Looking for a possiblity to get alive your favourite antique radio and other tube equipment ? Maybe we can help. All tubes are manufactured, tested and originally packaged by Ei-RC.